Bassday’s expertise in the surface lure market is second to none, with the Sugapen one of the deadliest surface lures available. Bassday’s newest creation, the Backfire, was originally designed for black porgy (sea bream) in Japan, but it has proven itself in our local conditions already. 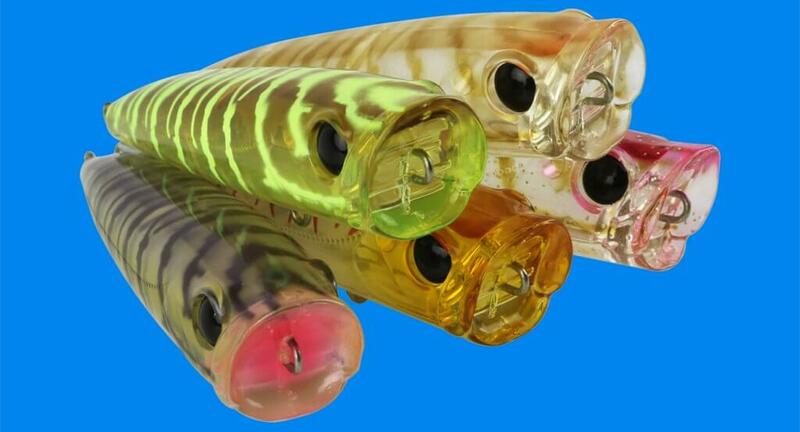 And like the Sugapen, this new lure is set to be a runaway hit. The Backfire is 65mm long and through wired, making it strong and dependable. It weighs 7.5g and casts exceptionally well for a small lure. The large cupped face is capable of both dramatic pops, and subtle, ripple-inducing pops, when using a slow and light touch. The slim profile produces little wind resistance. The action is that of a classic popper and will be excellent for bass, bream and other surface feeders. It works best with a ‘pop, pop, pause’ technique. The new model comes in eight colours, and all but one have been designed exclusively for Australia. For more information visit the Bassday website or like them on Facebook at www.facebook.com/BassdayAus.